This dreamlike journey takes you more than 900 miles (1,448 kilometers) through Russia from St. Petersburg to Murmansk—the Arctic Circle’s largest city—and beyond! We have designed a diverse itinerary during the best time of the year to travel the Arctic—the summer—when the sun barely sets and the days never end, earning this wondrous part of the world its nickname: the Land of the Midnight Sun. After culture-filled visits to Moscow and St. Petersburg, you board your private train for the Arctic Circle, where nature and gorgeous landscapes become the focus. You make your first stop in Petrosavodsk, where you travel to the idyllic Kizhi Island on Lake Onega. 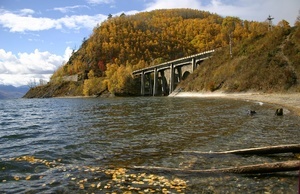 Then it’s off to Murmansk, where you discover the city on a harbor cruise on the Kola Bay. From the Norwegian city of Kirkenes, you make your way back home via Norway’s stunning capital, Oslo. A private train on this route is an absolute rarity—you won’t find such a comfortable journey anywhere else in this part of the Arctic! 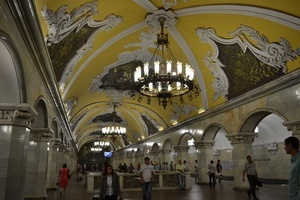 After arriving in Moscow and taking an airport shuttle to your hotel in the city center, you immediately feel immersed. That evening after dinner, you and your fellow travelers take nighttime city of Moscow, illuminated by the inviting lights of bridges, towers, palaces—and two spectacularly beautiful train stations that feel more like cathedrals and art museums than mass transit systems. After such an enjoyable day, you head back to the hotel where you grab a nightcap or simply rest your head and let the day’s sights populate your dreams. In the morning, after a hearty breakfast at the hotel, you continue your informative guided discovery of Moscow. 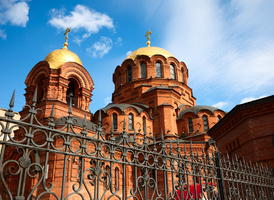 You explore the grounds of the Kremlin, including several gorgeous cathedrals from Russia’s Tsarist era. You also have the opportunity to see a few of these amazing buildings from the inside. In the afternoon, you take an express train to St. Petersburg, where you spend the night in your hotel, excited about the days to come. During a city tour, you discover the important attractions of this Venice of the North: Nevsky Prospect—the city’s main street—Palace Square, Vasilyevsky Island, the Old St. Petersburg Stock Exchange and much more. Today, you get the opportunity to visit both the Peter and Paul Fortress and the Peter and Paul Cathedral—the burial place of the Romanov Dynasty—where you see the sarcophaguses of almost all the former Tsars and Tsarinas. On a guided tour through the world-renowned State Hermitage Museum of St. Petersburg, you see spectacular paintings from Leonardo da Vinci and Raffael. 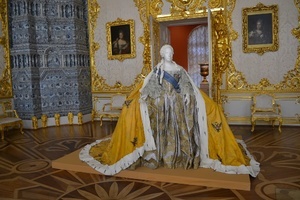 The museum is located in the Tsar’s former residence, the Winter Palace. In the evening, you have time for a long stroll through the city, a visit to the theater or a lovely boat tour down the Neva River. In the morning, you go on an excursion 15 miles south of St. Petersburg to the town of Pushkin, formerly known as Tsarskoye Selo, the residence of the Russian imperial family. 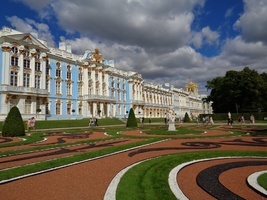 In the middle of the town is Catherine Palace, the former summer palace of the Tsars and Tsarinas. The palace’s most famous room, the legendary Amber Room was stolen during World War II and has been missing ever since. In 1979, however, the Russian government began building a replica of the room, which was completed in 2003. For lunch, you enjoy a Tsar’s feast of Russian culinary specialties, vodka and artistic performances. 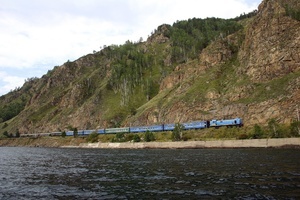 That evening, the friendly staff of your private train welcomes you on board, and you depart for Petrosavodsk. When you arrive in the Karelian capital of Petrozavodsk, you take a trip to Kizhi Island on Lake Onega. The island itself is an open air museum and features more than 80 beautifully crafted wooden buildings, including Kizhi Pogost, a UNESCO World Heritage Site. In the late evening, you board your private train once again and journey farther north. After you reach Kem, a small historic town on the coast of the White Sea, you take a bus to the harbor, where you board a ferry for the Solovetsky Islands (given the weather conditions allow). There, you see the famous Solovetsky Monastery, one of the first sites in Russia to make it onto the UNESCO World Heritage List. You enjoy a traditional lunch, and in the late evening, your private train takes you toward Murmansk, your first stop within the Arctic Circle—also known as the Land of the Midnight Sun. In the morning, you enjoy a delicious meal on board your private train, after which you go on an informative tour of Murmansk, the Arctic’s largest city, situated on the picturesque Kola Bay. In the afternoon, you visit one of the city’s most unique attractions—the K-21 Soviet submarine museum—followed by a harbor cruise. That evening, you spend a final night aboard your private train. 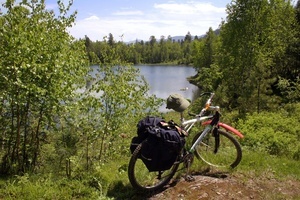 In the early morning, you enjoy a scenic bus ride from the town of Nikel on the Russia–Norway border toward Kirkenes. After a tasty lunch in town, your tour guide takes you on a fun and informative mountain hike. That evening, you enjoy dinner with your fellow travelers, reminiscing about the highlights of your journey to the Arctic. After breakfast, you fly to Oslo, the gorgeous capital of Norway, where you enjoy a city tour. In the afternoon, you have time to explore the city and discover its treasures on your own, with plenty of tips and suggestions from your tour guide.